Have you ever feel stuck working in cubicle, in a room full of people doing almost the same thing, following the same schedule and all looking up at the same sterile clock waiting for it to turn 6 pm to get out of that room? Has that feeling weighing you down as you think about the expectation of your boss on what you should be doing and who you should be and how much you should be paid for? Or most probably they are thinking that you are overpaid and considering to replace you with someone cheaper? Have ever feel too afraid to ask to take your leave that you deserved when your children are ills or because you want to take your long-awaited vacation? Or just to ask your boss for “permission” to do something? Did you spend your day daydreaming that you wish you could be somewhere else than you are right now? Then you might be able to consider what is new trend job for millennial now – Digital Nomad. Digital nomads are people who use telecommunications technologies to earn a living. 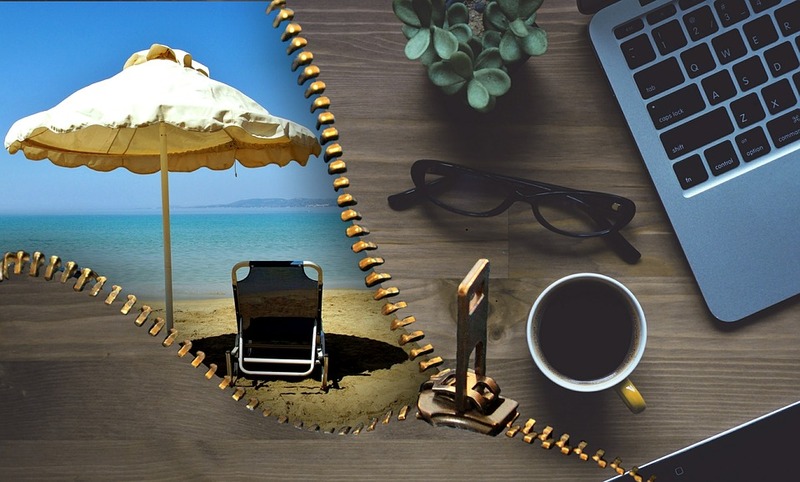 Digital nomads spend at least a few months of the year abroad, change their destinations and earn a living while working online. There are many different types of jobs that you can do online. And no, I am not talking about those pyramid-based options that ask you to recruit people or sell things. But these jobs below require you to be an entrepreneur, self-employed. It means you choose your client that you prefer (and of course firing the bad one) and deciding where and when to work. But the job that is being location-independent is still something new in our society. Trust me Not many people understand it. Not even your friends or your parent/family. Your parent may think you are losing the best time of your life, doing something that won’t bring you food to the table. That you are wasting your degree and your prime time to develop a career that goes nowhere. They would rather see you are in a big Corporation and doing all those boring paper shuffling jobs. Your friends might think you are so free at home that you spent time lying around on your sofa and watch your favorite TV and filling up any coupon to save money. Oh well, you can’t change other people’s minds so easily. But you can do anything you want with your life. You only need to be patient and persistent. At the beginning, you will probably need to focus more on your work and creating your brand. But once you get settled down with it, you will see that you can work less and less without being worried about your income. The best thing is that after some time you will be fully independent. Not only when it comes to location. It’s you who will be choosing your clients, and it’s you who will choose how much and when to work. Now, this is called “freedom”. 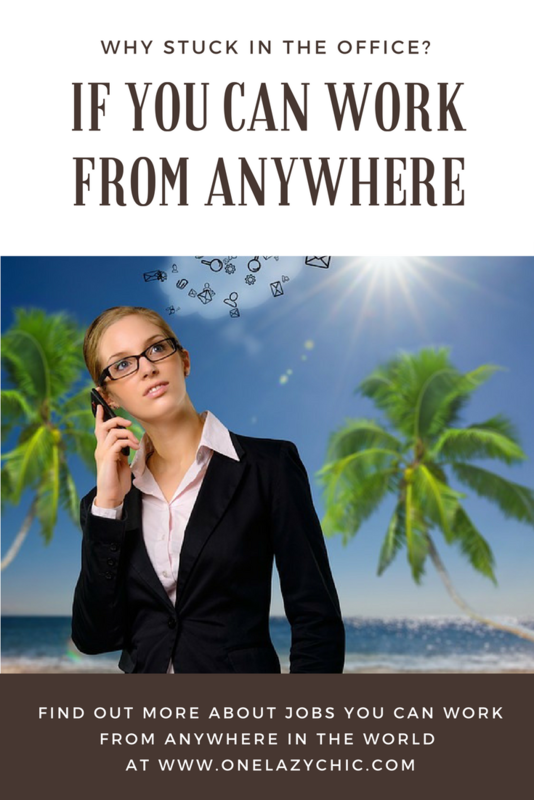 These online jobs also offer freedom where you have flexibility on your growth. Having your own business and working from home or anywhere you like and freedom to set the stage for your personal growth. In fact, you will be spent your time to build a business that gives you true freedom and enough income to live anywhere you want. A virtual assistant is responsible for many different things, such as e-mail correspondence, data entry, updating websites, creating business-related documents, and contacting clients via phone or Skype. The main objective is to support your client or clients, so your tasks may vary each day. Your clients will vary in their location and business types, and skill and services will vary from VA to VA. But the core concept remains the same: Virtual assistance is “professional help from afar”. # You could be work at home parent, or you need to follow your spouse to travel, for example, military wife. # Some of the students choose this job as they provide flexible time for them to study and work at the same time. # A retiree is also a perfect person for this job as they have more experience to contribute. # Temporary employee seeking self-employment. # Some people who live in an area with very low employment will find Virtual Assistant comes handy. Whatever is your motive to choose the Virtual assistant path, make sure you have some realistic expectation because this job is not a get rich quick scheme nor will leave plenty of spare time as you have imagined. If you know anything about building websites, you can be a freelance web developer. You can also help many people built their website through Wordpress or Squarespace. I thought building a website is very complicated. But in reality, after I started to play around, I realize it’s not as difficult as it’s seemed. There is so many beautiful templates you can choose from and as in many online fields, this one changes rapidly, so it’s important to stay up to date. Fortunately, there are many great and completely free online resources for that. Stick to them, check them out regularly, learn new things, and above all be persistent. One of the people I met inspired me so much on how she built her career as a copywriter. She is young and started as a copywriter since she was a student to get some extra income. She is not even native English speaker. She learned along the way, and she also pays proofreader to help her in her work. If you like writing, you may consider becoming a copywriter. Look at how many pieces of information you can find online – somebody needed to write them! As a beginning copywriter, you can earn from 10 to even 20 dollars per hour and the rate increases with experience. And even though you think your writing is not the best, you can still use some tools like Grammarly to help you in your writing. Many big companies make sure they have an online presence. However, being active on different social platforms is not enough. They need to have a proper Social Media strategy and post their content regularly. It takes a lot of time! This is why they hire a specialist. As a Social Media Manager, you’ll be responsible not only for posting content on a daily basis and engaging in communication with their audience, but also preparing advertising campaigns and creating reports. You can learn many different tools to help you as a social media manager and their analytic report. The tools could be a lifesaver for you in managing social media for your clients. You can also serve many clients in their social media strategy and campaign. As an expert, you must be up to date with any social media update, and their algorithm can change anytime. Search Engine Optimization may sound complicated, but it is quite easy to learn. Having blog makes you learn about SEO on how to make your website or blog appear on Page 1 on google. Many website owners need to do this to appear towards the top in Google search results. You will learn about keyword research, title tag, backlink, the outbound link, image tag. You must learn to understand SEO lingo. As an SEO Specialist, you help them to become more visible. You do it by setting up appropriate campaigns, changing the different title and description with keyword search including image title and size. You can also start learning about it by taking part in official Google programs that award you valuable certificates. For example, through Google AdWords. One important thing ̶ you need to be sure that you are always up to date with the latest Google trends. Unfortunately, they are constantly changing. Trends that work today, may be totally different or even unacceptable tomorrow. As a blogger myself I understand most of us to start blogging because we have experience, passion and thought that we want to share with others. The truth is there are so many blogs out there that it might be quite difficult to stand out unless you differentiate yourself. That doesn’t mean you can not give it a try. After blogging for some time, I realize there are many ways we can earn income through blogging. Companies will start contacting you to collaborate. You can also become an affiliate for any products that you love dearly. You can write the book or create any digital product that you are good at. Well, I wouldn’t count on a decent salary in your first year of blogging, but hey you won’t say no to some free luxury travel or accommodation that company offers you as long as you believe in their product. So what are you waiting for? Pick the right skills to work online and start to work while traveling the world.